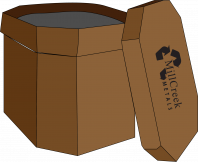 Millcreek offers a top notch scrap metal container service. 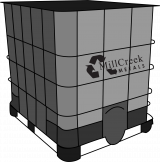 We place the container at your facility, you fill it up, we pick up the container and you get paid. We own all of our own trucks and containers, which means you get fast, professional service without any of the hassles of dealing with a middleman. 4 ft. X 4 ft. X 4ft. 6 ft. X 4 ft. X 4 ft.